For several years, when our boys were teenagers, our family enjoyed many surfing holidays on Tiree. Well to be more accurate, the boys did a lot of surfing while I was either reading or cycling. The church at Heylipol was often the central point of the various loops I did. I would go into the church and it was a place of peace, a place where it was easy to turn your mind to God. The stained glass and light fittings were a reminder of past generations who worshipped God, the notice boards of current activities and missionary partners a reminder of today’s congregation and the jeeps with surf boards on top – the visiting congregation! There was much simple beauty but yet easy to see that the building was in need of some money and attention. So when the opportunity came to open my garden it seemed like a perfect way to help the Tiree Church Fabric Appeal Fund ensure that there is a way for future generations, staying or visiting Tiree to come into thoughtful contact with God. On Sunday 10th July 2016 we welcomed Isabella April Briggs into the family of God at her baptism in Heylipol Church. Here are some photos of Isabella at her baptism, with her parents April and Malcolm, her family and friends and minister Elspeth MacLean. When the storm caused Tiree Music Festival 2015 to have to evacuate their campsite, the island community of Tiree opened their doors to welcome the wet, cold campers. Groups of young people were transported to a variety of locations, from individual homes to the school, airport and the church. 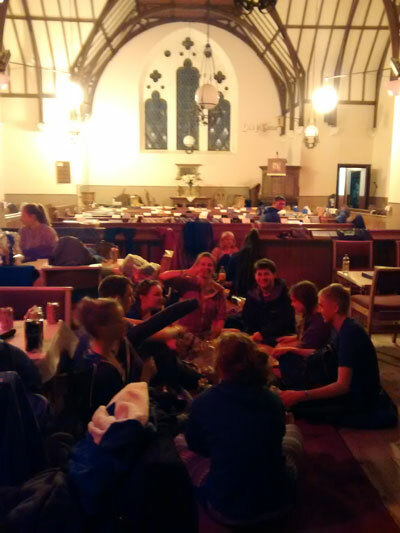 The local Church of Scotland were pleased to be able to help, opening our church to the festival refugees. 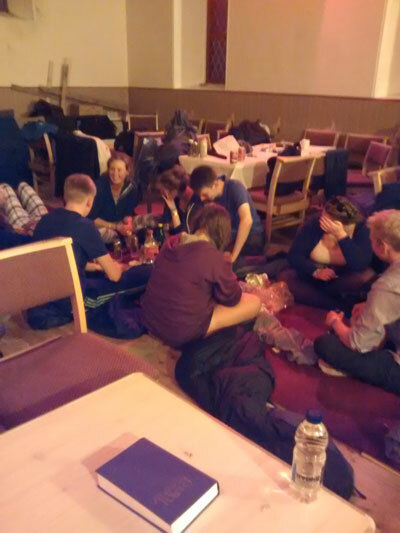 Rev MacLean said "It was a great opportunity for us to show our faith in action, providing shelter, warmth, food and drink for these young people, along with the rest of the community". 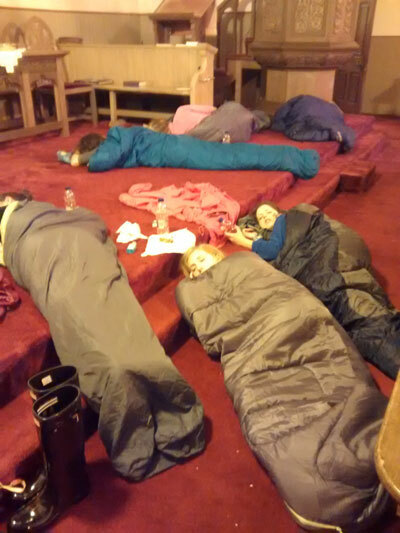 The photos were taken late on Friday night as the campers were settling down to sleep on the floor and pews of the church. 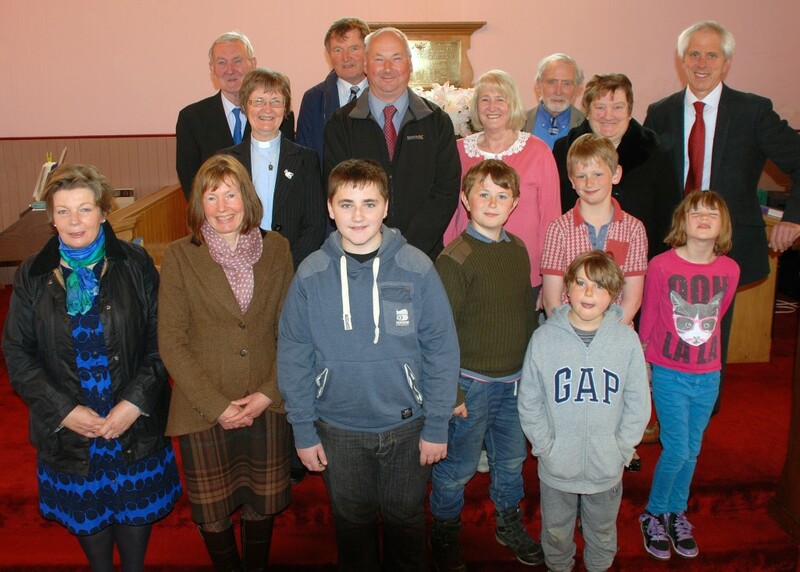 Tiree Parish Church are continuing with concentrated efforts to repair Heylipol church and make internal improvements to make the building more flexible and comply with the requests from the General Trustees who own the building. Having removed 18 pews from the rear of the church, we are now hoping to have permission to begin the external repairs before the end of this Summer. At the same time, we are proceeding with preparing and costing plans for the internal changes to provide the necessary accessible toilet, Sunday school/meeting room, kitchen, and space for fellowship, at the rear of the church. It was decided at a recent meeting that we will retain 8 of these pews in the hope that they can be incorporated into the new area in some way. The total costs for the repairs and renovations are £240,560. We already have £176,138 (from the sale of Kirkapol, fundraising and central fabric funds). We are asking the General Trustees for a grant of £22,102 which would enable us to begin the exterior repairs now. We will then only need to raise a further £52,320. We are applying to various places for funding, and will again be asking the Tiree Community to dig deep to ensure that we have a church fit for both the present and the future. As a beginning of this last big push of fund raising, we are offering 10 wooden pews for sale, and suggest a minimum price of £150 each. The pews are in good condition, but please note that because they used to be attached to the wall, they only have one end, and a leg in the middle, so are not free standing without some modification. Anyone who is interested in buying a pew, please contact Rev Elspeth MacLean on 220377 (please leave a message) or any of our elders. 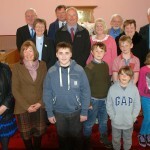 The church on Tiree celebrates! 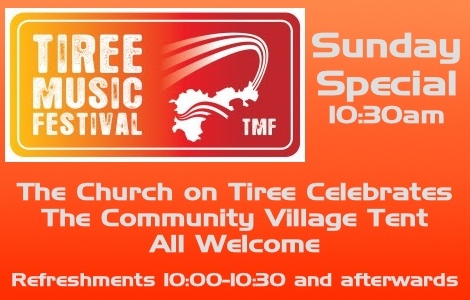 Tiree Music Festival 2015 – special Sunday morning worship service at 10.30 am in the Community Village Tent. Refreshments and singing from 10am, with refreshments after the service too. All ages very welcome. 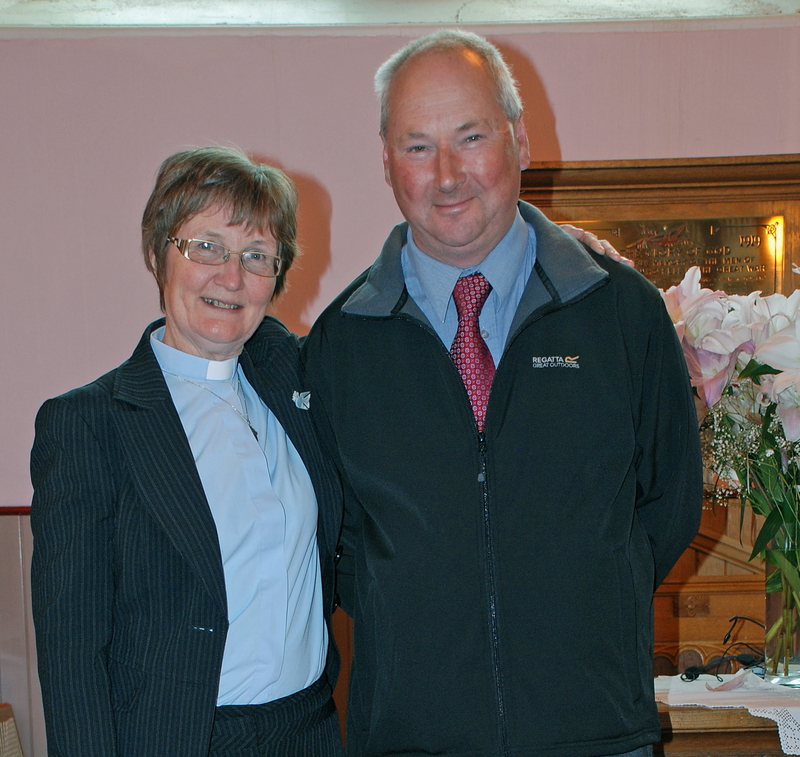 On Sunday 31st May two new elders were ordained at Tiree Parish Church during the morning service. 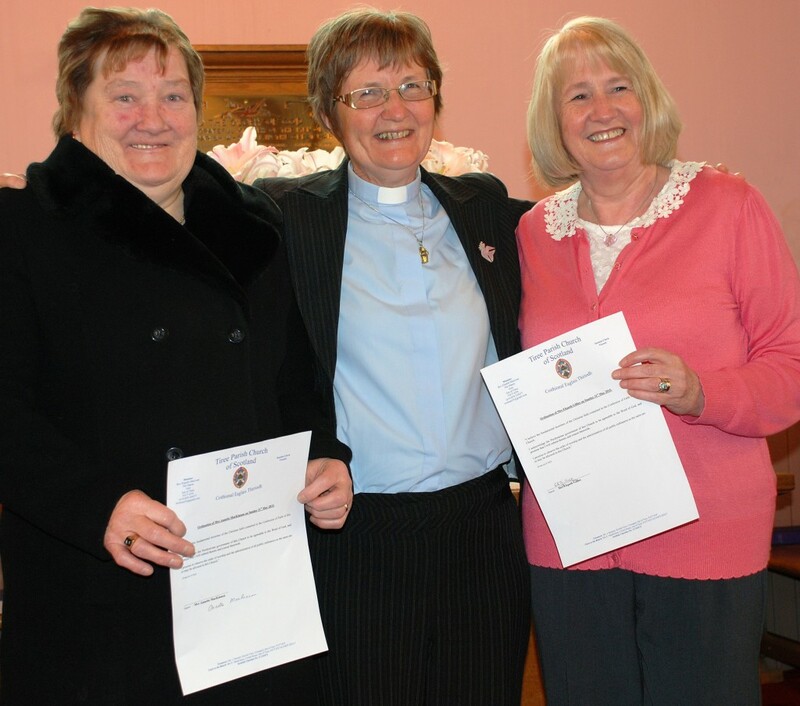 Session and members of the congregation welcomed Annette MacKinnon and Elspeth Gillies as elders for Tiree Parish Church. The service was followed with refreshments and a time of fellowship. 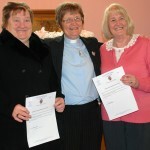 We wish Annette and Elspeth every happiness in their new roles. We have a small group who meet to practice Christian Meditation each Friday afternoon in Tiree. We have now been meeting for a little over a year, and are delighted to announce that Alex Holmes of the Scottish region WCCM (World Community of Christian Meditators) is coming to Tiree to give a day’s teaching on Saturday 23rd May. Christian Meditation is a tradition grounded in Biblical wisdom, the early Christian desert monks, and the spiritual classic The Cloud of Unknowing. As well as the spiritual benefits, the physical benefits of meditation are now well recognised by the medical profession. These include reducing high blood pressure, reducing stress and depression, improving sleep and relaxation and even increasing one’s natural immunity. Everyone is welcome to come on Saturday 23rd May. We will meet in the manse at 10.30am. There will be no charge for the day, but anyone wishing to come for the whole day is asked to bring a packed lunch. Teas and coffees will be provided. The morning will be aimed at complete beginners with the afternoon taking us a little deeper into the tradition, but everyone is welcome to come for part or the whole of the day. For further details contact Rev Elspeth MacLean on 220377. Holy Monday 30th March contemplative service in Heylipol church at 7.30pm. Holy Tuesday 31st March contemplative service in Heylipol church at 7.30pm. Holy Wednesday 1st April contemplative service in Heylipol church at 7.30pm. The three services above will each last around 30 minutes and will include readings, chants and periods of silence in preparation for the commemoration of Christ’s death and resurrection. School Easter Service, 1.30pm in Heylipol church. Service of Holy Communion and foot washing. In Heylipol church at 7.30pm. Contemplative service in Heylipol church from 2.00-3.00pm. Good Friday evening service. An Talla at 7.30pm. Easter sunrise service. This will be held on the beach in front of the manse (weather permitting). At 6.30am for sunrise around 6.47am. Followed by bacon rolls and tea/coffee in the manse. 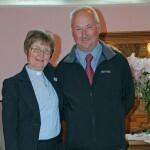 Church of Scotland morning service, 11.30am in Heylipol church. All age service. Baptist church morning service 11.00am in An Talla. Everyone is always welcome at our services. Come and hear about the miracle of Easter! Update on Plans for Heylipol Church – 1st March `15. Making Heylipol Church wind and watertight remains the first phase of work planned, however the General Trustees of the Church of Scotland recently requested preliminary ideas from the Congregational Board about the interior, before they would commit any capital to Phase 1 works. The Kirk Session and Congregational Board had already spent considerable time discussing various ideas as to how we could meet our need for space. There is a legal duty to provide a toilet in the Church which is accessible for all and as the layout stands, we aren`t providing this. We also don`t have a suitable area for Fellowship, meetings, Sunday School and we presently don`t have a kitchen area or storage. The items from Kirkapol Church remain in a Container and we haven`t been able to integrate those items into Heylipol Church. It seems important that we do so to unite the two buildings and give Kirkapol the rightful place and respect it deserves as part of our history and in our ongoing worship and use of the single building. The Kirk Session and Congregational Board has decided that the pews in the back area of the Church (to the right as you enter) will be removed. The space created will be flexible in its use by using sliding partition doors. When the Church is full, the sliding partition doors will be opened and the chairs from Kirkapol Church used to provide seating. During regular Sunday worship the soundproofed partition doors will be closed and Sunday School will be held in the space. Glazing will be fitted above the partition doors to ceiling height to allow light from the back area to fill the rest of the Church. A toilet, kitchen area and storage will be contained within the area. This is still a provisional plan, subject to consulting architects and engineers. The Church of Scotland is in agreement to this plan. They would not support an extension to the existing building due to the costs involved and they advocate efficient use of available space in all their Churches throughout Scotland. We wish you all to know that this decision has not been taken lightly. It is best that we utilise our remaining building as flexibly as we can to meet our needs and we remember that closing the door at Kirkapol Church meant not just the removal of pews but the removal of a building of worship with all its history, going back many generations. As members of the Congregational Board, we are happy to discuss this further with anyone who wishes to do so.